What is Apache pig tool? 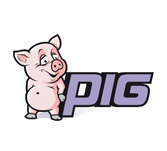 Apache Pig is a tool/platform used to analyze huge data which are known as data flows. Pig is used with the combination of Hadoop. Here we can perform all the data manipulation operations with the help of pig in Hadoop. Apache pig tutorial is designed for the Hadoop professionals who would like to perform MapReduce operations without having to type complex codes in Java. One must have prerequisite skills like basic knowledge of Hadoop and HDFS commands along with the SQL knowledge.